Goat milk soap in a variety of scents! Get two bars for $12! 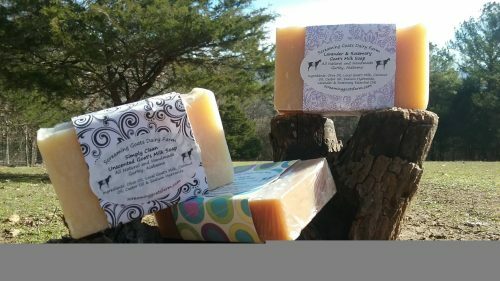 Screaming Goats Dairy Farm is a small dairy farm in North Alabama raising LaMancha dairy goats and make Goats Milk Soap with their milk. The young lady has been raising goats and making soap and other product for several years, she is now 16. What a wonderful way to support a young entrepreneur. The money raised from selling products is used to help pay for the goat feed and supplies. All natural product from Gurley, Alabama.